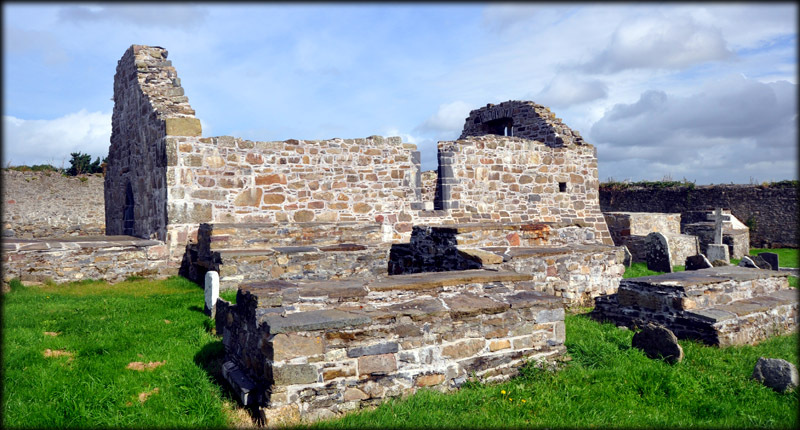 A monastery was founded at Rattoo (Rath Tuaidh) in the 6th century by Bishop Lughach, an early christian evangelist. 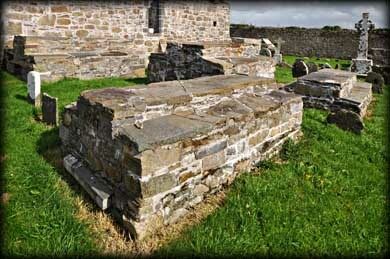 The medieval church at Rattoo is believed to have been constructed with stones from an earlier church. We are not sure who the church is dedicated to but it may be St Peter and St Paul. A huge tomb vault occupies the east end of the interior. Above this is in the east gable is a superb double ogee headed window. 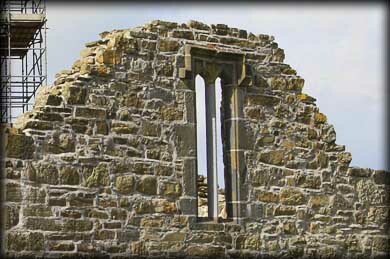 Cemented into the sill of a window in the south wall is a fine stone font. 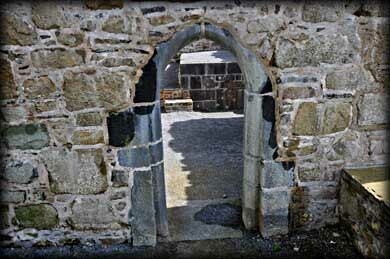 To the left of the interior arched doorway is a stone plaque that has a 1666 date inscribed on it. This may have been added during repairs. A most noticeable feature here are the many vaults scattered around the graveyard. 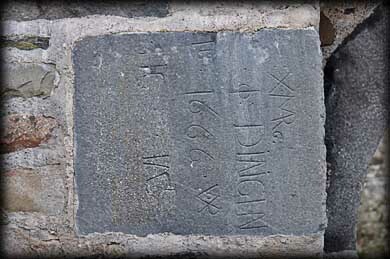 The church and vaults had recently undergone conservation work. 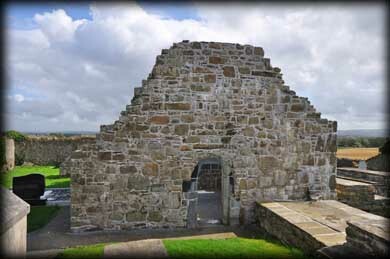 Situated: From Ballyduff in North Kerry head south on the R551 for 1.1 kilometres. Turn left (signposted Rattoo Round Tower). Go to the end of this road. Discovery Map 71: Q 8782 3360. Last visit Sept 2012.